Though it went unannounced at Apple's WWDC 2018 keynote on Monday, the first iOS 12 beta allows two different people to register their face with Face ID on iPhone X, addressing in part one of the biggest downsides of Apple's new biometric authentication technology. Apple on Monday introduced developers to App Store Connect, a streamlined process for submitting, monitoring and managing App Store titles from the web and, with the help of a new iOS app, iPhone and iPad. Apple on Monday posted an update to its App Store Review Guidelines that, among other things, prohibits developers of PC mirroring apps from displaying a "store-like interface" and including the ability to purchase apps, specifications that appears to target PC streaming services like Steam. Apple announced iOS 12 at WWDC on Monday and we just finished installing the developer beta on our iPhone X. Let's take a look at some of the changes and what Apple has included in the first beta release. Buried by a mountain of onstage WWDC announcements, Apple on Monday released a new Health Records API to developers, opening the door to a new apps that will allow users to manage medications and diseases diagnoses, track nutrition plans, participate in research and more directly from their iPhone. 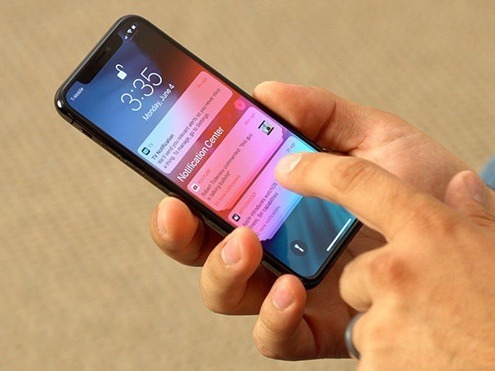 In introducing iOS 12 on Monday, Apple revealed a collection of tools designed to better temper how people use their devices, including App Limits, notification changes, and upgrades to Do Not Disturb.